Cory is friends with the owners of Magnolia Manor (Bob and Maryann Jansen). He began taking care of the home when Cory started getting into vacation rental marketing. 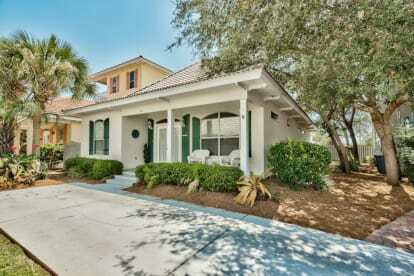 Cory, Bob and Maryann all actively vacation to Destin, Florida and this is Bob and Maryanns only vacation home. They take care of it and truly want their guests to have the best vacation experience possible at Magnolia Manor. Please call with any questions! You can reach Cory at (513) 277-9026. My wife and I were both born and still live in Cincinnati, Ohio. We love the change of seasons up north but always vacation at the beach. After countless vacations to Destin MaryAnn and I purchased "Magnolia Manor" in 2006. We have now been married for 26 years and have 2 daughters Ashley & Kristen. Destin is the perfect beach destinnation with its white sand beaches & pristine waters of the Gulf of Mexico. We try to spend as much time as we can at our beach home in Emerald Shores and are happy to share it with others when we are not there. As owners we care about our home and fully understand and appreciate the importance of finding a great location, having easy access to amenties, and a quality home that is clean and well maintained.